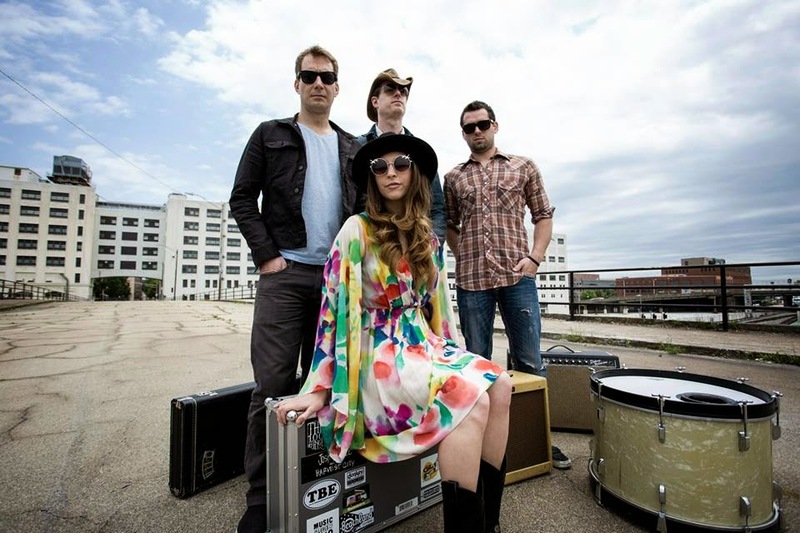 Americana rockers Angela Perley & The Howlin' Moons announce the release of their new single "Ghost" off their recently released debut LP HEY KID, out now. This Columbus, Ohio based foursome blends their unique alternative country sound with shades of old-school rock comparable to artists like the Black Keys, Jessica lea Mayfield and Old 97's. Hey Kid is a fusion of dreamy melodies against gritty guitars, led by the crisp vocals of lead singer Angela Perley. The band was formed in 2009 when Chris Connor (lead guitar, vox) and Billy Zenhal (bass) were introduced to Perley by was of Vital Music USA, the Columbus-based label to which the they are now signed. later, Jeff martin (drums) joined the group, completing the band's current lineup. They released their three EP's locally, breaking into the national arena with their fourth EP, 2012's Nowhere Is Now Here. Hey Kid is the band's first full -length release and has earned international praise throughout the US and UK markets. Hey kid was named one of the Top 50 albums of 2014 by The Alternate Root. The band has earned accolades from Knox Road, Americana U.K. and American Songwriter. So stayed tuned for more from Angela Perley & The Howlin' Moons.